So you have yourself a fancy iPad and a magnetic Smart cover, which if you remember the hype when it launched last year, was the greatest thing since sliced bread. Like Apple invented magnets or something. 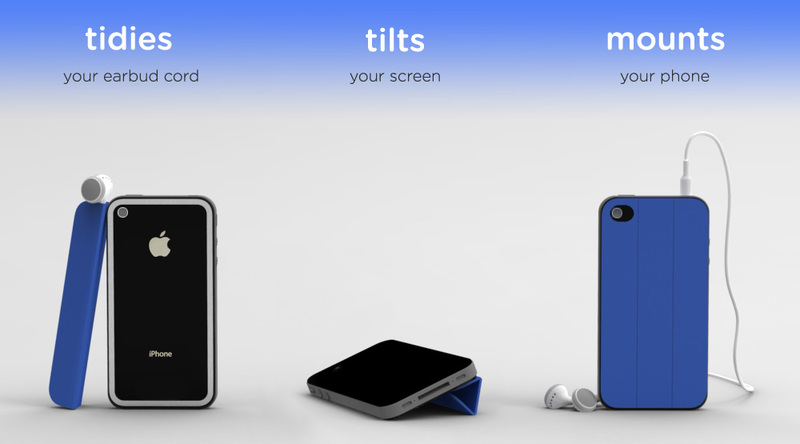 Fast forward a year, and someone has launched a KickStarter project to develop a similar cover for iPhones. It's smart (ha!) and simple, and makes perfect sense. They are positioning it as a headphone wrap first and foremost. I wonder if that's to distract people from the fact that it's just a small version of Apple's iPad cover, and once Apple finds out about this, they will likely sue the pants off these cute fresh-faced design students from Chicago. But for now, you can still pledge your support until the end of the month. Then if they raise enough, they may get to produce their product. Want one? Check out TidyTilt on KickStarter.